Esfandyari, M., Heravi, M., Oskooie,, H., Fotouhi, L., Tajbakhsh, M., Bamoharram, F. (2017). H3PW12O40: An Efficient and Green Catalyst for the Facile and Selective Oxidation of Sulfides to Sulfoxides, Applied to the Last Step of the Synthesis of Omeprazole. Iranian Journal of Chemistry and Chemical Engineering (IJCCE), 36(4), 21-29. Maryam Esfandyari; Majid Heravi; Hossein Oskooie,; Lida Fotouhi; Mahmood Tajbakhsh; Fatemeh Bamoharram. "H3PW12O40: An Efficient and Green Catalyst for the Facile and Selective Oxidation of Sulfides to Sulfoxides, Applied to the Last Step of the Synthesis of Omeprazole". Iranian Journal of Chemistry and Chemical Engineering (IJCCE), 36, 4, 2017, 21-29. Esfandyari, M., Heravi, M., Oskooie,, H., Fotouhi, L., Tajbakhsh, M., Bamoharram, F. (2017). 'H3PW12O40: An Efficient and Green Catalyst for the Facile and Selective Oxidation of Sulfides to Sulfoxides, Applied to the Last Step of the Synthesis of Omeprazole', Iranian Journal of Chemistry and Chemical Engineering (IJCCE), 36(4), pp. 21-29. Esfandyari, M., Heravi, M., Oskooie,, H., Fotouhi, L., Tajbakhsh, M., Bamoharram, F. H3PW12O40: An Efficient and Green Catalyst for the Facile and Selective Oxidation of Sulfides to Sulfoxides, Applied to the Last Step of the Synthesis of Omeprazole. 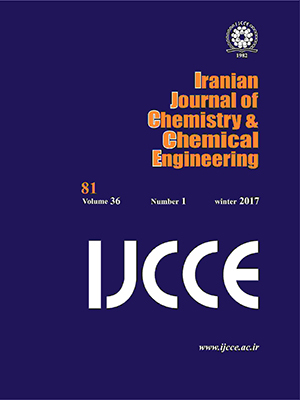 Iranian Journal of Chemistry and Chemical Engineering (IJCCE), 2017; 36(4): 21-29. Omeprazole, (6-methoxy-2-((4-methoxy-3,5-dimethylpyridin-2-yl)methylsulfinyl)-1H-benzimidazole is a well-established prescribed drug, exhibits proton pump inhibitor activity. In this work, a novel, facile, economical and selective oxidation approach using H3PW12O40 as Keggin type heteropolyacids along with H2O2 in the last step of the conventional synthesis of this compound as well as its derivatives under environmental-benign conditions, is reported. This protocol can bewell adopted for pilot plant scale giving a high pure pharmacopeia grade material. Our synthetic route involves the use of various heteropolyacids as heterogeneous catalysts. Due to the obtained results, it was concluded that Keggin type heteropolyacid , is an effective catalyst for this purpose. The optimized condition for the last step of this synthesis was applied to the synthesis of lansoprazole, pantoprazole, and rabeprazole. Jeyakumar K., Chand D.K., Selective Oxidation of Sulfides to Sulfoxides and Sulfones at Room Temperature Using H2O2 and a Mo(VI) Salt as Catalyst, Tetrahedron Lett., 47: 4573–4576 (2006). Tavish D.M., Buckley M.M., Heel R.C., Omeprazole. An Updated Review of its Pharmacology and Therapeutic Use in Acid-Related Disorders, Drugs, 1: 138-170 (1991). Shin J.M., Cho Y.M., Sachs G., Chemistry of Covalent Inhibition of the Gastric (H+‏, K+‏)-ATPase by Proton Pump Inhibitors, J. Am. Chem. Soc, 126: 7800–7811 (2004). Bhalerao D.S., Kondaiah G.M., Dwivedi N., Mylavarappu R.K., Reddy L.A., Roy A., Nagaraju G., Reddy P.P., Bhattacharya A., Bandichhor R., Novel Approach to the Synthesis of Omeprazole: An Antipeptic Ulcer Agent, Synth. Commun., 40: 2983-2987 (2010). Sih J.C., Robert A., Graber D.R., Blakeman D.P., Studies on (H(+)-K+)-ATPase Inhibitors of Gastric Acid Secretion. Prodrugs of 2-[(2-Pyridinylmethyl) sulfinyl]benzimidazole Proton Pump Inhibitors, J. Med. Chem., 34: 1049-1062 (1991). Alminger T., Larsson H., Lindberg P., Sunden G., Novel Pharmacological Compounds, WO Patent No. 87/02668, (1987). A Process for Production thereof and a Pharmaceutical Composition Containg the Same, WO Patent No. 88/03921, (1988). Brandstrom A., Lindberg P., Sunden G., Therapeutically Active Fluoro Substituted Benzimidazoles, Processes for their Preparation as Well as their Use, WO Patent No. 91/09028, (1991). Von Unge S., Novel Ethoxy Carbonyl Oxymethyl Derivatives of Substituted Benzimidazoles, WO Patent No.9532957, (1995). a) Kowalski P., Mitka K., Kossowska K., Kolarska Z., Oxidation of Sulfides to Sulfoxides. Part 1: Oxidation Using Halogen Derivatives, Tetrahedron, 61: 1933-1953 (2004). Kaczorowska K., Kolarska Z., Mitka K., Oxidation of Sulfides to Sulfoxides. Part 2: Oxidation by Hydrogen Peroxide, Tetrahedron, 62: 8315-8327 (2005). Wojaczynska E., Wojaczynski J., Enantioselective Synthesis of Sulfoxides, Chem. Rev., 110: 4303-4356 (2010). Ahmmed S., Kundu D., Siddiqui M.N., Metal Solvent Free Selective Oxidation of Sulfides to Sulfone Using Bifunctional Ionic Liquid [pmim]IO4, Tetrahedron Lett., 56: 335-337 (2010). Veisi H., Eshbala F.H., Hemmati S., Selective Hydrogen Peroxide Oxidation of Sulfides to Sulfones with Carboxylated Multi-Walled Carbon Nano Tubes (MWCNTs-COOH) as Heterogeneous and Recyclable Nanocatalysts under Organic Solvent-Free Conditions, RSC Adv., 5: 10152-10158 (2015). Afrasiabi R., Jalilian F., Yadollahi B., Solvent Free Oxidation of Sulfides to Sulfones by H2O2 in the Presence of Chromium Substituted Polyoxometalate as Catalyst, Inorg. Chem. Commun., 50: 113-116 (2014). Kon Y., Yokoi T., Yoshioka M., Selective Hydrogen Peroxide Oxidation of Sulfides to Sulfoxides or Sulfones with MWW-Type Titanosilicate Zeolite Catalyst under Organic Solvent-Free Conditions, Tetrahedron, 70: 7584-7592 (2014). Venkat Reddy C., Verkade J.G., An Advantageous Tetrameric Titanium Alkoxide/Ionic Liquid as a Recyclable Catalyst System for the Selective Oxidation of Sulfides to Sulfones, J. Mol. Catal. A: Chem., 272: 233-240 (2007). Heravi M.M., Fard M.V., Faghihi Z., Heteropoly Acids-Catalyzed Organic Reactions in Water: Doubly Green Reactions, Green Chem. Lett. Rev., 6: 282-300 (2013). Heravi M.M., Sadjadi S., Recent Developments in Use of Heteropoly Acids, Their Salts and Polyoxometalates in Organic Synthesis, J. Iran. Chem. Soc., 6: 1-54, (2009). b) Sadjadi S., Heravi M.M., Recent Advances in Applications of POMs and Their Hybrids in Catalysis, Cur. Org. Chem., 20: 1404-1444 (2016). c) Heravi M.M., Sodeh S., Hekmatshoar R., Oskooie H.A., Keggin-Type Heteropoly Acids-Catalyzed One Pot Oxidation-Trimerization of Alcohols into 2,4,6-Trisubstituted-1,3,5-Trioxanes, Iran. J. Chem. Chem. Eng. (IJCCE), 28: 131-136 (2009). Timofeeva M.N., Acid Catalysis by Heteropoly Acids, Appl. Catal. A: General, 256: 19-35 (2003). 4-Amino-pyrazolo[3,4-d]pyrimidine Derivatives by Keggin Heteropoly Acids under Classical Heating and Microwave Irradiation, J. Mol. Catal. A: Chem., 256: 238-241 (2006). b) Heravi, M.M., Sadjadi S.,Hekmatshoar R., Oskooie H.A., Keggin-Type Heteropolyacids-Catalyzed One Pot Oxidation-Trimerization of Alcohols into 2,4,6-Trisubstituted-1,3,5-Trioxanes, Iran. J. Chem. Chem. Eng. (IJCCE), 28:131-136 (2009). Bamoharram F.F., Heravi M.M., Roshani M., Jahangir M., Gharib A., Effective Direct Esterification of Butanol by Eco-Friendly Preyssler Catalyst, [NaP5W30O110], J. Mol. Catal. A: Chem., 271: 126-130 (2007). Prasad K.D., Intermediates and an Improved Process for the Preparation of Omeprazole Employing the Said Intermediates, US Patent No. 6303787, (2001). Jiang B., Zhao X.L., Dong J.J., Wang W.J., Catalytic Asymmetric Oxidation of Heteroaromatic Sulfides with Tert-Butyl Hydroperoxide Catalyzed by a Titanium Complex with a New Chiral 1,2-Diphenylethane-1,2-diol Ligand, Eur. J. Org. Chem., 7: 987-991 (2009). Avrutov I., Mendelovici M., Finkelstein N., Processes for the Production of Substituted 2-(2-Pyridylmethyl) sulfinyl-1H-benzimidazoles, US Patent No. 20040138466, (2004). Romanelli G.P., Vaquez P.G. Tundo P., New Heteropoly acids as Catalysts for the Selective Oxidation of Sulfides to Sulfoxides with Hydrogen Peroxide, Synlett, 1: 75-78 (2005). Sathicq A.G., Romanelli G.P., Palermo V., Heterocyclic Amine Salts of Keggin Heteropoly Acids Used as Catalyst for the Selective Oxidation of Sulfides to Sulfoxides, Tetrahedron Lett., 49: 1441-1444 (2008). Palermo V., Sathicq A.G., Vazquez P.G., Selective Oxidation of Sulfides to Sulfoxides Using Modified Keggin Heteropoly Acids as Catalyst, Phosphorus, Sulfur, Silicon Relat. Elem., 189: 1423-1432 (2014). Heravi M.M., Sadjadi S., Haj N.M., Oskooie H.A., Bamoharram F.F., Role of Various Heteropolyacids in the Reaction of 4-Hydroxycoumarin, Aldehydes and Ethylcyanoacetate, Catal. Commun., 10: 1643-1664 (2006). Sadjad, S., Heravi M.M., Recent Advances in Applications of POMs and Their Hybrids in Catalysis, Current Org. Chem., 20: 1404-1444 (2016). Singh S.P., Mukarram S.M.J., Kulkami D.G., Purohit M., Synthetic Procedure for 5-Methoxy-2-[(4-methoxy-3,5-dimethyl-2-pyridinyl)-methylthio]-IH-benzimidazole Hydrochloride and its Conversion to Omeprazole, US Patent No. 6245913 B, (2001). Bamoharram F.F., Heravi M.M., Roshani M., N-oxidation of Pyridine Carboxylic acids Using Hydrogen Peroxide Catalyzed by a Green Heteropoly Acid Catalyst: Preyssler's Anion, [NaP5W30O110], J. Mol. Catal. A: Chem., 252: 219-225 (2006). J. Mol. Catal. A: Chem., 252: 90-95 (2006). Hekmatshoar R., Sajadi S., Heravi M.M., H14[NaP5W30O110] as a Heterogeneous Recyclable Catalyst for the air Oxidation of Thiols under Solvent Free Conditions, Molecules, 12: 2223-2228 (2007). Lefebvre F., Liu-Cai F.X., Auroux A., Microcalorimetric Study of the Acidity of Tungstic Heteropolyanions, J. Mater. Chem., 4: 125-131 (1994). Kozhevnikov I.V., Advances in Catalysis by Heteropoly Acid, Russ. Chem. Rev., 56: 811–825 (1987). Misono M., Heterogeneous Catalysis by Heteropoly Compounds of Molybdenum and Tungsten, Catal. Rev. Sci. Eng., 29: 269-321 (1987).